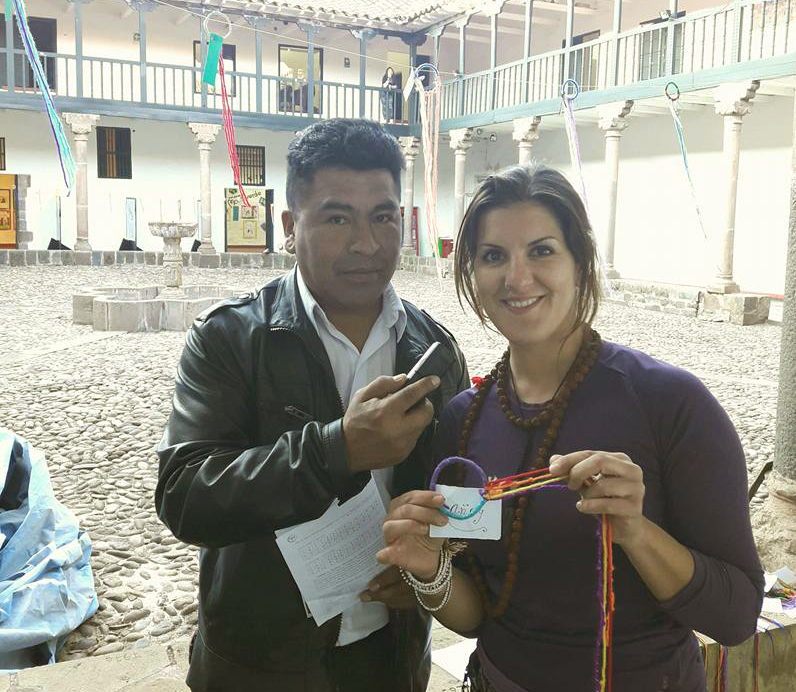 WCU arrived to Peru in autumn of 2016 carrying “Letters to the World” from the previous workshops in Norway and Spain last spring, finishing the first cycle of this creative lab activity inspired by the ancient communication system of the Incas, made of knots, called Quipus. During our stay in Peru, we traveled and shared the messages, impressions and created new messages with school students from Pukllasunchis school and Ausangate Int. School in Cusco and Institución Educativa Bilingüe 0800 in the native community of Wayku, Lamas. The workshops had a focus in Quechua language and culture, inviting students to think and feel their messages using their knowledge about quechua language. Thanks to the school teachers and their creative learning methods, we shared a beautiful experience while learning about culture and language together. More than 130 “Letters to the World” messages were created during all workshops arranged in 2016. Thanks to Pukllasunchis teacher and artist Tania Castro (from Asociación Cultural Q´Ente), WCU exhibit for first time all collected letters at Casa de la Cultura de Cusco in November, as a collaboration with Pukllasunchis school. We look forward to future collaborations! Photos from “Letters to the World” workshop in Educación educativa “Colegio Bilingüe Núm. 0800”, Wayku native community of Lamas, San Martin. We were interviewed by Ted Gamboa from Radio Universal Cusco while hanging the messages at Casa de la Cultura in Cusco. Thanks to Ted and Radio Universal Cusco for giving us a piece of time in their program to present the exhibition! Special thanks to our active collaborator Jesús Green for helping us with the exhibition and visual/audiovisual documentation of the workshops!